Here I go again, expressing more fascination and admiration for the life and career of the great Charlie Chaplin. I recently decided to take my first journey with him to The Circus, a setting that certainly could play to the comedic strengths of The Tramp and his brilliant handle of what was needed to make slapstick funny. It did just that, as all the usual laughs were present and accounted for and on a purely entertainment level, Chaplin did not disappoint yet again. What is remarkable is what Chaplin went through off screen while The Circus was in production, proving that once the camera started rolling, he could flip the switch and transition from a painful existence to a charmed fiction with ease. All while this one film was being made, the man behind the character had to deal with the death of his mother, a bitter divorce from his second wife and the IRS coming after him for unpaid back taxes. Despite all of this, The Circus is an absolute joy of a silent film which is something I say often about the work of Chaplin. 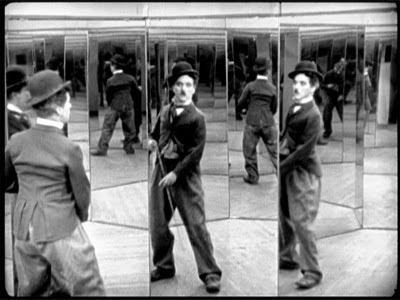 The utilization of amazing set pieces and his ability to entertain so naturally work together in harmony throughout, and my love for Chaplin continues to grow.